If there’s one type of fat we could all use less of, it’s belly fat. Excess stomach fat isn’t just unsightly: it can also be dangerous to your health. Research has shown that people carrying too much stomach fat have an increased risk of diabetes and heart disease. This type of fat, which accumulates around your stomach and internal organs, produces toxins that can affect your overall wellbeing. Craving a flat stomach isn’t just about vanity – it’s about safeguarding your health. There are two types of fat stored in your abdominal area. 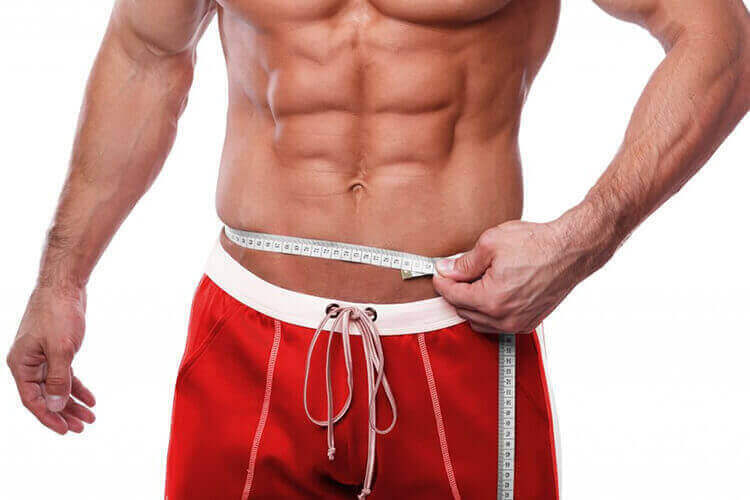 The first type, which prevents your abs from being visible, is called subcutaneous fat. It lies directly beneath the skin and on top of the abdominal muscles. The second type, known as visceral fat, is stored around the internal organs such as the liver, pancreas and intestines. 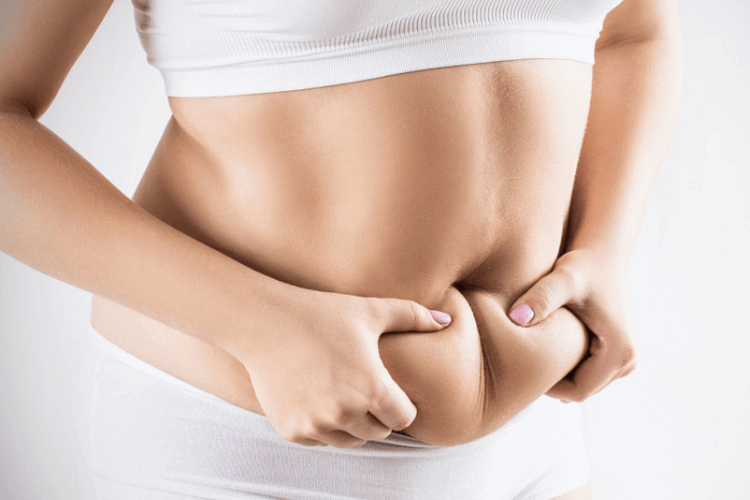 Visceral fat may not be visible, but it should not be ignored: it’s been linked to the production of toxic compounds that can affect insulin sensitivity, leading to diabetes. These chemicals also trigger inflammation, which has been associated with a higher risk of cancer. To exacerbate matters, research has shown that people who carry excess visceral fat are more likely to develop mood problems, depression and sleep disorders. If you want to banish belly fat, you’re going to have to exercise your whole body. 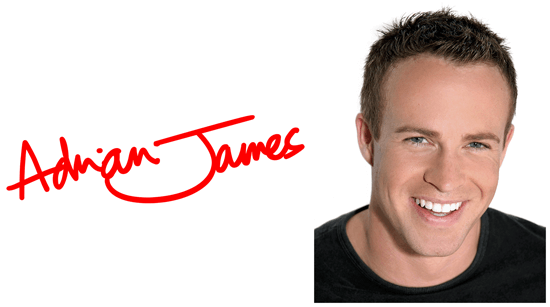 The exercises found in the Adrian James 6 Pack Abs Workout are great for developing your abdominal muscles. For those abs to become visible, however, you’ll also need to burn off the fat that’s covering them. 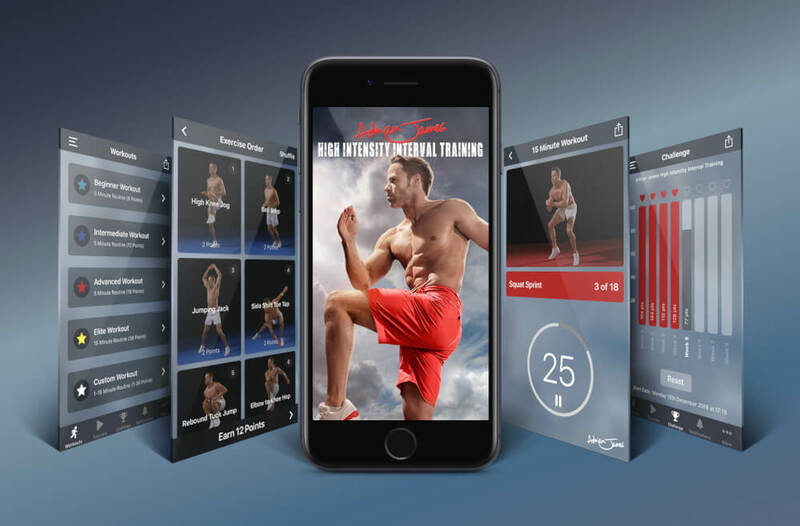 That’s why the app works best when paired with Adrian James High Intensity Interval Training – the former will build your six-pack while the latter vanquishes belly fat to reveal them in all their glory. If you’re intent on reducing stomach fat, exercise alone will not be enough: you’ll also need to eat right. As the saying goes, abs are made in the kitchen. You can perform crunches all day but if you’re stuffing your body with junk food, you’re wasting your time. For a smaller waist, choose a diet that’s low in sugar and rich in whole grains, green vegetables and complex carbs. To speed up weight loss, try supplementing your diet with Thermoblaze. Three capsules a day will gently raise your metabolism and help you develop a lean physique faster. Losing belly fat and keeping it at bay calls for a three-pronged attack. Regular exercise, a healthy diet and smart supplementation hold the key to hitting your goal. For best results, try lifting weights 2-3 times a week in addition to following the exercises found in Adrian James 6 Pack Abs Workout. Track your progress by measuring your waist circumference once a fortnight or using a body fat scale that can record visceral fat. Don’t ignore stomach fat until it’s become a problem: start tackling it now and you’ll reap the rewards every single day. Say goodbye to belly fat. Say hello to better health, a better figure and a happier, more active life.